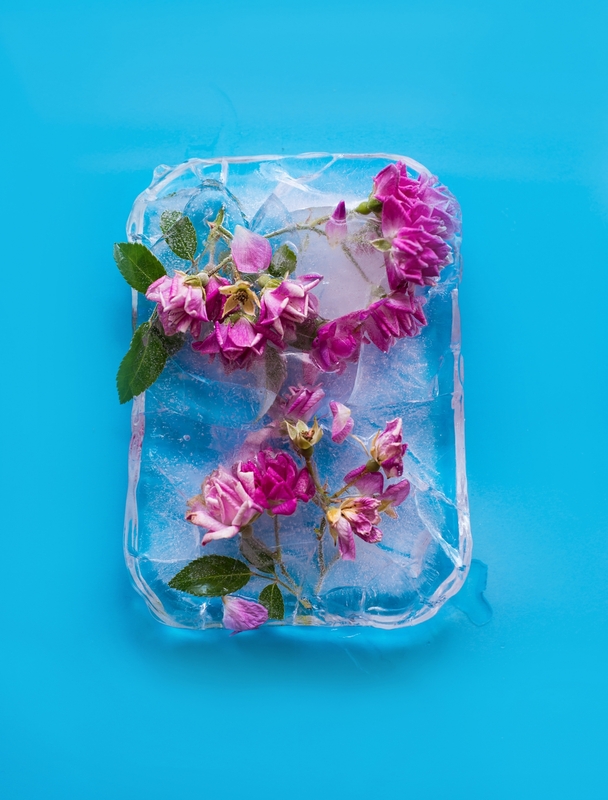 A project dedicated to the image of flowers on the ice. 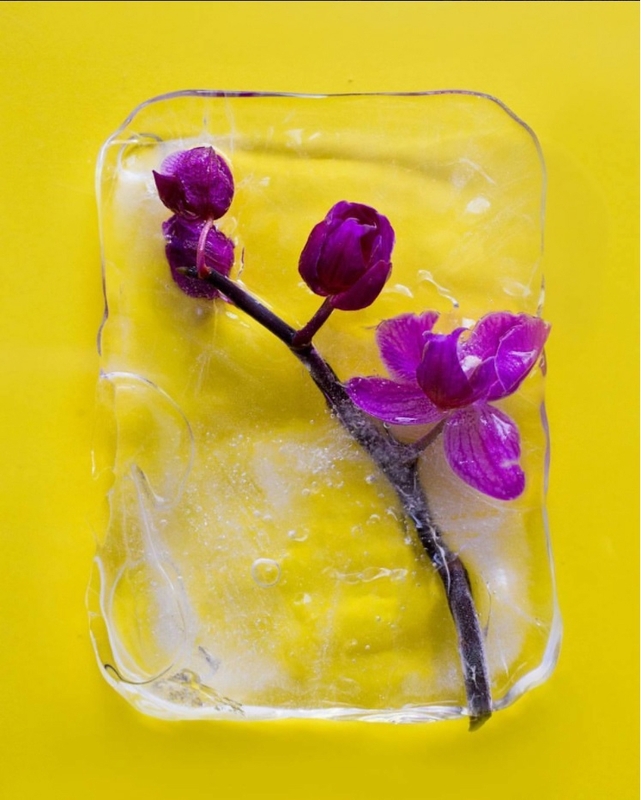 It is the image of frozen living flowers, "La unidad de dos polos opuestos" as life and death, fire and ice, strong and warm colors. 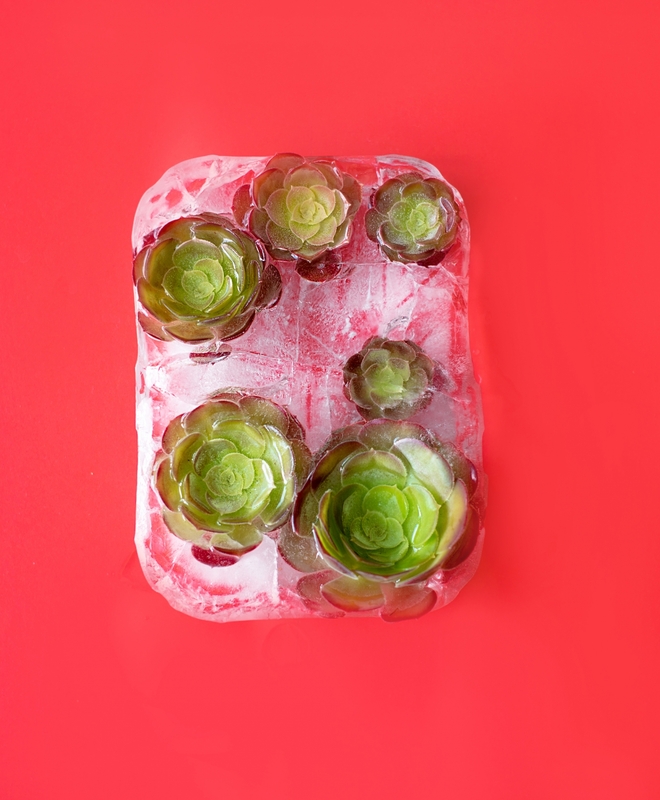 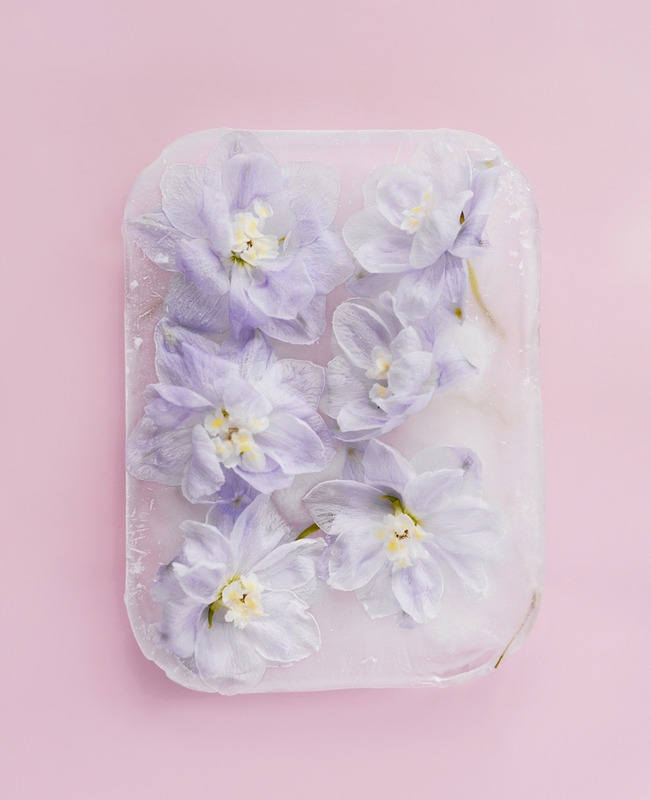 It has been a search for different flowers, making the game of colors and shapes, it has also taken its time the work of the creation of ice, doing tests with water of different mineral contents, boiled or not, to get the ideal effect.